Air China has dropped the price of their Calgary - Manila, Philippines flights down to $753 CAD roundtrip including taxes. April to early June 2016 and September, October, November, and up to mid-December 2016. April/May is the dry, summer season in the Philippines and might be the months you want to focus on. June to October can be rainy, and has the possibility of typhoons. 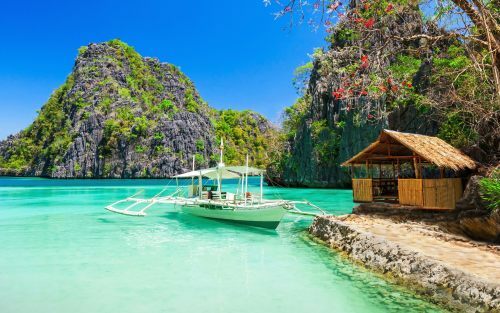 Update: There are now flights from Calgary to Manila, Philippines in September, October, November, and December 2016 for $753 to $775 CAD roundtrip including taxes. See example dates below. There are also November & December 2016 flights from Calgary to Bangkok for $877 CAD roundtrip including taxes. See example dates below (separate list of dates). Flights from Calgary to Phuket, Thailand are available on similar dates for $905 CAD roundtrip. There are even a few for $877 CAD roundtrip. See list below. FlightHub is ranked #8 in the Third Party Booking Site Power Rankings. Follow the same instructions as the Manila instructions above. Nov 8 to Nov 22, 23, or 24.
calgary, yyc, flight deals, asia, singapore, sin, southeast asia, saigon, vietnam, sgn, bangkok, thailand, bkk, manila, philippines, mnl, ho chi minh city, air china, phuket and hkt. 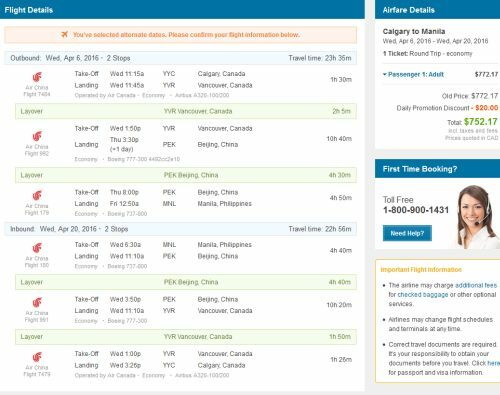 2 Responses to "Calgary to Manila, Philippines - $753 CAD roundtrip including taxes | Thailand for $878"
Thanks for the deal alert Chris! Thanks Harsha! Thanks to your comment, I was also able to find Calgary to Ho Chi Minh, Vietnam, and then Manila to Calgary - for $706 CAD. I just put up a new blog post with this deal.